Are you excited? I’M excited! Also, I’m caffeinated. That’s probably something, too. 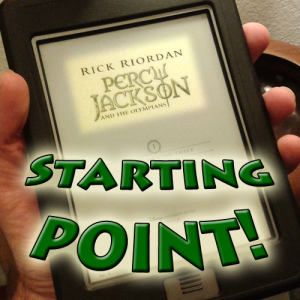 So I’m all set to plunge into the first novel of Rick Riordan’s Percy Jackson series, The Lightning Thief. (Here’s my intro blog post if you missed that one.) This will be the first time I’ve ever blogged my experience of reading a book, so I don’t know quite how quickly it will go, but I guess we’ll explore this together. NO SPOILERS! 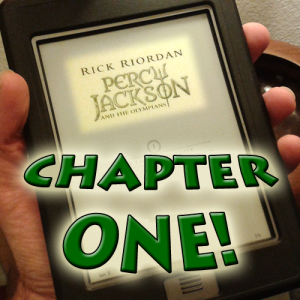 I want to experience the book as Riordan intended. The art of crafting how a story unfolds to a reader is something I’m passionate about. I’d hate to think of someone altering that experience for readers of my own novels, and I don’t see how I should hold myself to different standards when I’m reading. Comments are encouraged, but please leave them spoiler free – or at least blatantly spoiler-tagged to give me some warning.